Postgraduate courses in clinical pharmacology are important for dentists to be updated on drug therapy and information related to their clinical practice, as well as knowledge of relevant adverse effects and interactions. A traditional approach with classroom delivery as the only method to teaching and learning has shortcomings regarding flexibility, individual learning preferences, and problem based learning (PBL) activities compared to online environments. This study examines a five week postgraduate course in clinical pharmacology with 15 hours of lectures and online learning activities, i.e. blended course design. Six postgraduate dental students participated and at the end of the course they were interviewed. 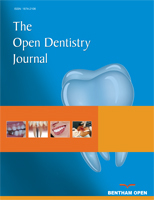 Our findings emphasize that a blended learning course design can be successfully used in postgraduate dental education. Key matters for discussion were time flexibility and location convenience, change in teacher’s role, rein-forced learning strategies towards professional needs, scarcity in online communication, and proposed future utilization of e-learning components. Keywords: Educational design, e-learning, blended learning, learning management system (LMS), dental education, problem based learning (PBL). © Rosenbaum et al. ; Licensee Bentham Open.